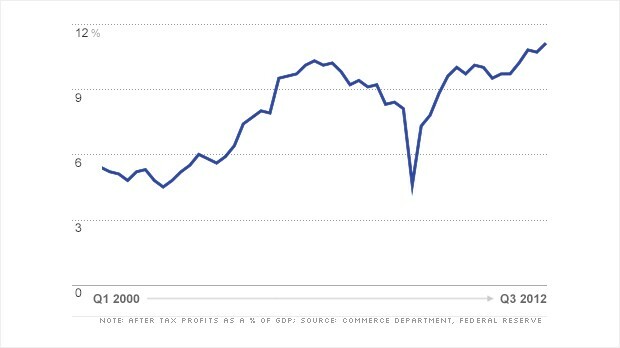 You should also know that according to Seeking Alpha, the historical average for corporate profits is 6% of GDP. With corporate profits at $1.75 trillion, that 5 point spread from the historic average translates to hundreds of billions of dollars padding the bottom-line instead of wages. Oh, and about those wages, they dropped to a historic low of 43.5% of GDP. But go ahead, keep drinking the conservative Kool-Aid. Keep believing the only way we get better jobs, better wages and a better economy is by giving more tax cuts to corporations and the wealthy at the same time they are raking in the dough.